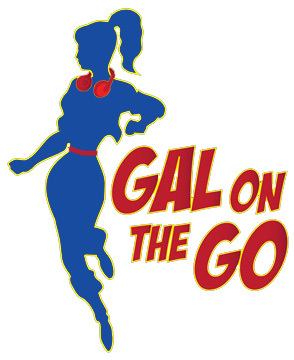 Introducing … Gal on the Go!!!!! I have wanted a fun visual that represents the spirit of my Gal on the Go identity for a long time. I recently presented my desire to my friend Angela Manning, a talented illustrator, also known as Angela Tarantula. She rose to the challenge, designing a comic-style custom logo for me combining my playful side, active lifestyle and love for music. Thanks Angela! To commission a piece from Angela or to check out her artwork go to www.angtarantula.